Kick Free Revolution Vol. 2, Techno / House / Trance Sample from Sounds of Revolution. 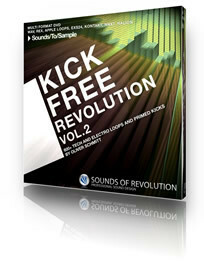 Sound of Revolution just made available a new collection of 600 house samples, Kick Free Revolution 2. 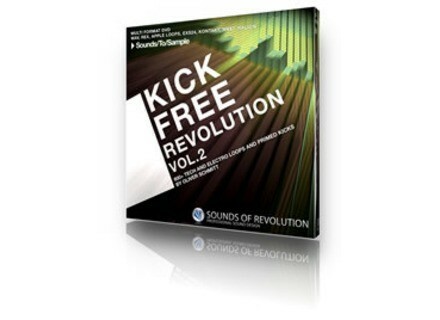 Check out www.soundstosample.com/info/Sounds_Of_Revolution/Kick_Free_Revolution_2/402 for more details on this product - or to buy it! ModernBeats Releases 'Urban Guitar Chopz' Samples Featuring over 800 one-shot samples of urban guitar licks, chords, & melodies recorded in Hollywood, ModernBeats releases the "Urban Guitar Chopz" soundsets. Prime Loops Presents: Guitar Anthology Guitar Anthology is a collection of 5 sample packs in one package... you also get a bonus free chords pack which is exclusive to Prime Loops. Prime Loops Ambient Funk Prime Loops have released a new collection of 500mb of soundtrack loops arranged in new construction kits influenced by the likes of Ennio Morricone, Isaac Hayes, Sam Spade, Quincy Jones and more.